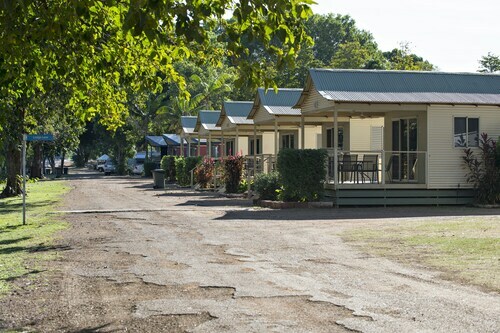 Situated on a lake, this campground is 1.3 mi (2.1 km) from Celebrity Tree Park and 2.8 mi (4.5 km) from Mirima National Park. Hoochery Distillery is 12 mi (19.3 km) away. Situated in Kununurra, this luxury apartment building is 0.1 mi (0.2 km) from Celebrity Tree Park and 1.6 mi (2.6 km) from Mirima National Park. Hoochery Distillery is 10.8 mi (17.4 km) away. 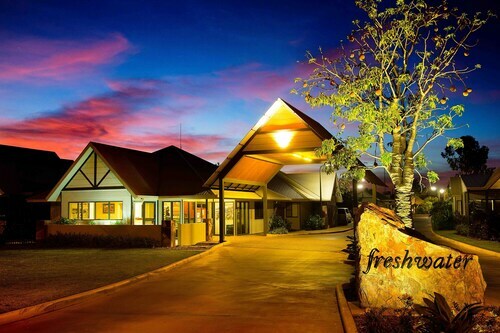 Situated on a lake, this hotel is within 1 mi (2 km) of Celebrity Tree Park and Mirima National Park. Hoochery Distillery is 10.3 mi (16.6 km) away. 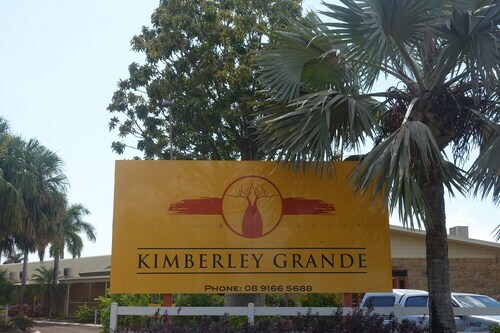 Located in the heart of Kununurra, this hotel is within 1 mi (2 km) of Celebrity Tree Park and Mirima National Park. Hoochery Distillery is 10.3 mi (16.6 km) away. Wotif you escaped to the East Kimberley region of Western Australia's Top End and spent some time amongst scenery so breathtakingly stunning that it was featured in Baz Luhrmann's 2007 blockbuster film, ‘Australia’? From the hot red sands of desert plains to wide blue skies, rugged forests and awe-inspiring natural rock formations, our Kununurra accommodation will place you in the perfect position to explore this wild and wonderful playground. Kununurra is a fairly young town and was only established in 1963. It was built to be the main construction town of the Ord River Scheme, which was supposed to provide irrigation for nearby farms and future towns. However, the scheme turned out to be a bit of a flop and rather than being a great water provider for the region's agricultural farms, the Lake Argyle Dam is now mostly just a tourist attraction. There are plenty of places to cool off in Kununurra, with some of Australia’s most remarkable bodies of water on your doorstep. Lake Argyle is Australia's largest man-made lake and is 22 times the size of Sydney Harbour. In fact, its size is so vast that it's classified as an inland sea! The lake is the perfect spot for boating or doing a bit of bird and wildlife watching. Back on dry land, the Bungle Bungle Range of the Purnululu National Park is a must-see while you're here. This World Heritage listed area is well-known for its orange and black striped sandstone domes, so make sure you bring your camera. In town, there are plenty of dining options, from pub meals to humble takeaway, but you can also treat yourself to the ever-popular alfresco dining experience under the stars. As far as shopping goes, you'll only be able to pick up the basics here and maybe a couple of artworks from one of the local galleries. 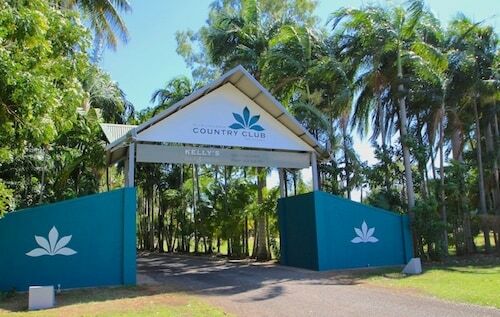 To get here, grab one of these cheap flights to Kununurra and hire a car at the airport. Make sure that you book ahead though because there aren't any other transport options in town. Kununurra is right next to the Northern Territory border and located on Highway 1, so you can take a road trip up to Katherine (about 500km away) or Darwin (about 300km past Katherine) if you'd like. So wot are you waiting for? Book a room in one of our Kununurra hotels and get ready for a fantastic Aussie adventure, surrounded by incredible scenery! How Much is a Hotel Room in Kununurra? Hotels in Kununurra start at AU$100 per night. Prices and availability subject to change. Additional terms may apply. Nice place to stay with restaurant on site. Food is quite good. Nice quiet location with good facilities. Plenty of wildlife to see as well. Nice place to stay. Roomy and comfortable. Staff friendly and helpful.